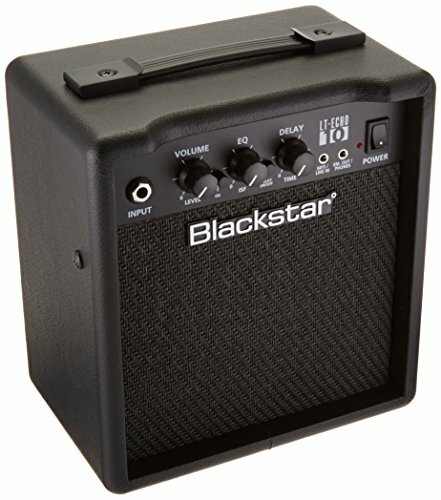 Blackstar let-echo 10 packs professional sound and features into a compact and affordable 10 Watt practice amp. Equipped with two channels (clean & overdrive), Blackstar patented ISF tone control, and a digital 'tape' style delay, the let-echo can achieve an incredible array of tones that is suitable for any style. Additional features like a MP3/line in for jamming along to music and an Emulated line out for Silent practice or recording.